This week is soggy to say the least and there’s really not a lot that can be done on the plot beyond working in the green house. 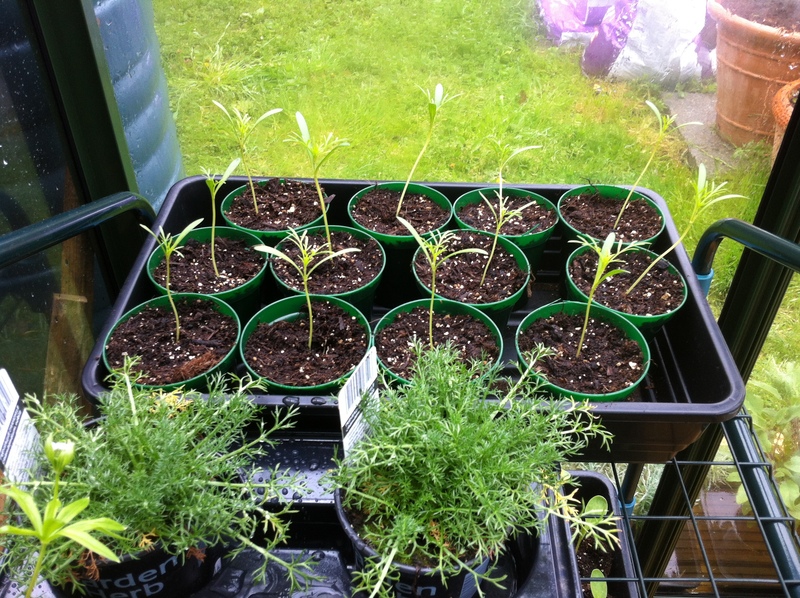 On Sunday I potted on the Cosmos Purity and Borage seedlings that were sown two weeks ago. 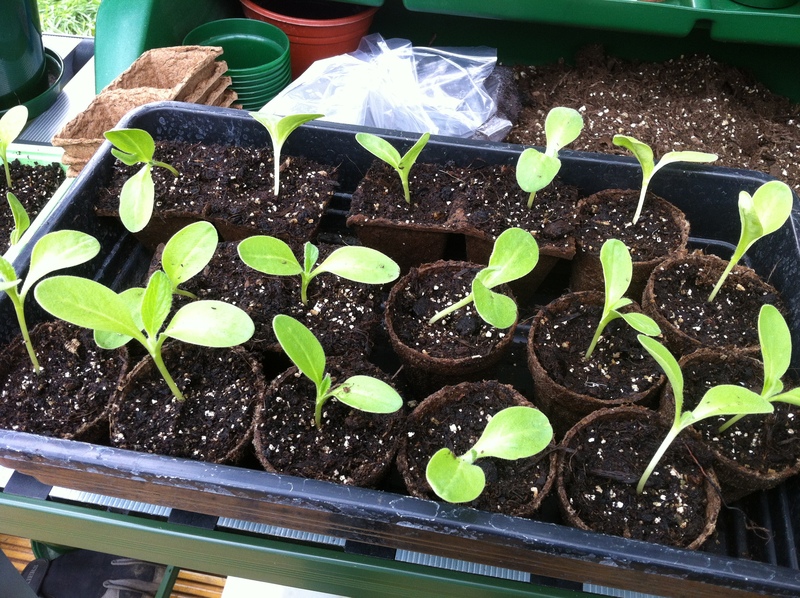 I’d read in numerous books that borage doesn’t like to be transplanted so I decided to put them into peat pots so that they can go straight into the ground when large enough. Yes they did flop but plenty of water and the cooler temperature of the green house and today they were back to normal. The Cosmos were fine though the thin leggy stems needed some care to separate. 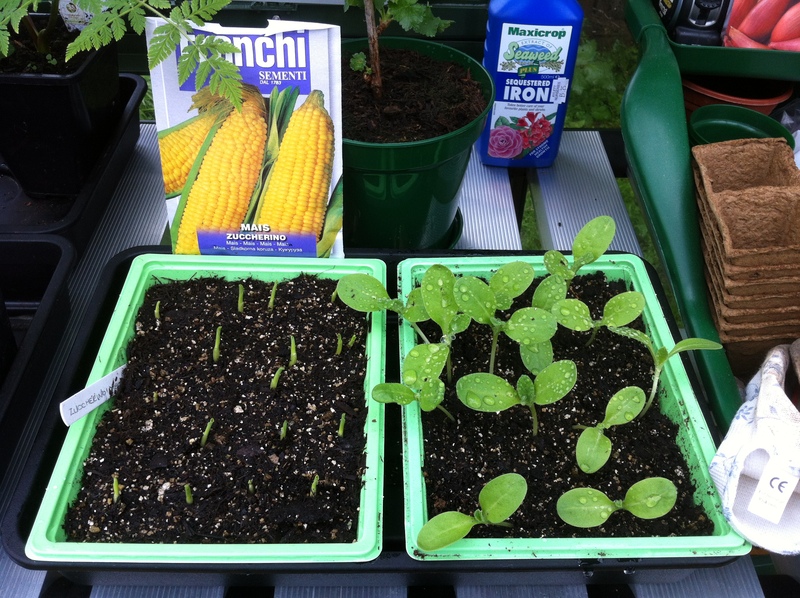 The sweet corn planted last weekend has also germinated in eight days. The seeds are Mais Zuccherino from Franchi. But no sign of the Nigella sown at the same time. Albeit it’s not been covered so it’s to be expected that the germination time will be slower. So given there is still not let up in the weather and afternoon with Terry Walton’s book My Life On A Hillside Allotment beckons. I’ve enjoyed reading through your blog, and now added it to my lawn loungers list. I hope that you’re enjoying Terry Walton’s book as much as I did.